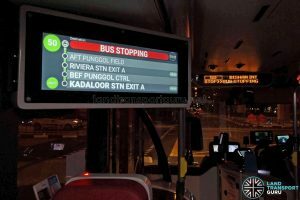 An updated version of the Passenger Information Display System (PIDS) has been progressively rolled out on Euro 6 MAN A22 and A95 buses. 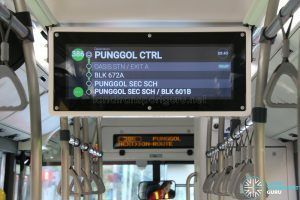 Equipped with both outfacing and interior screens, the latest update allows for the same functionality as the other PIDS model equipped on Volvo B5LH buses. 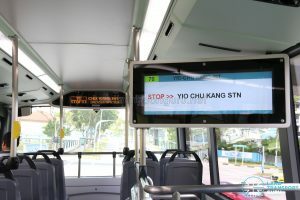 Previously, the LAWO INFOtainment screens were unable to display information, or only displayed the upcoming bus stop on the interior screen. 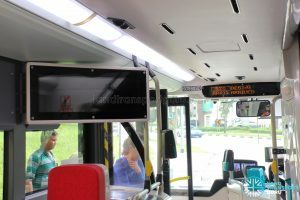 When these new buses commenced revenue service in May 2018, the LCD PIDS displays were disabled and turned off. 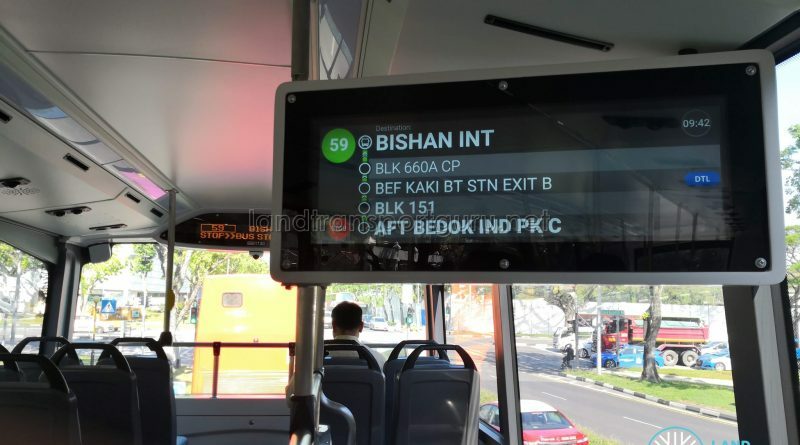 In July 2018, a limited functionality PIDS was rolled out on these buses, showing only the Bus Service, Destination and next bus stop. Full functionality was only rolled out from late March 2019. 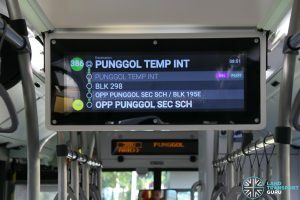 The first buses to receive the update were 2 MAN A22 buses (SG1797R and SG1798M) plying Go-Ahead Bus Service 386. 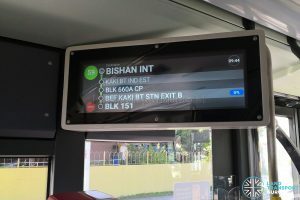 Several other MAN buses have since received the updated. 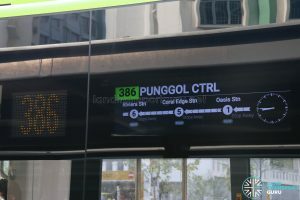 The interior screen shows the next four bus stops in real-time, on top of the service number, destination, and current time. 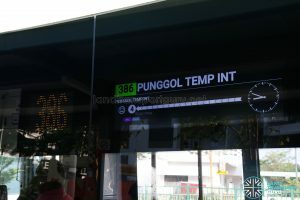 MRT and LRT stations are also displayed with bus stops. A small circle on the bottom left-hand corner displays “Next”, “Stop”, or “Arr”. 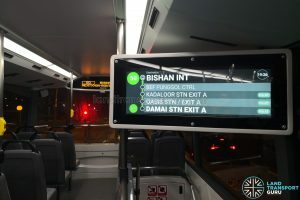 The exterior screen displays up to next three MRT or LRT stations the bus service connects to. 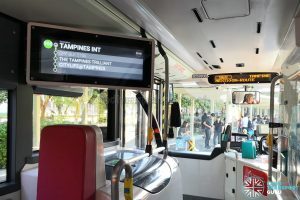 The screen switches on only when the bus stops and open its doors. 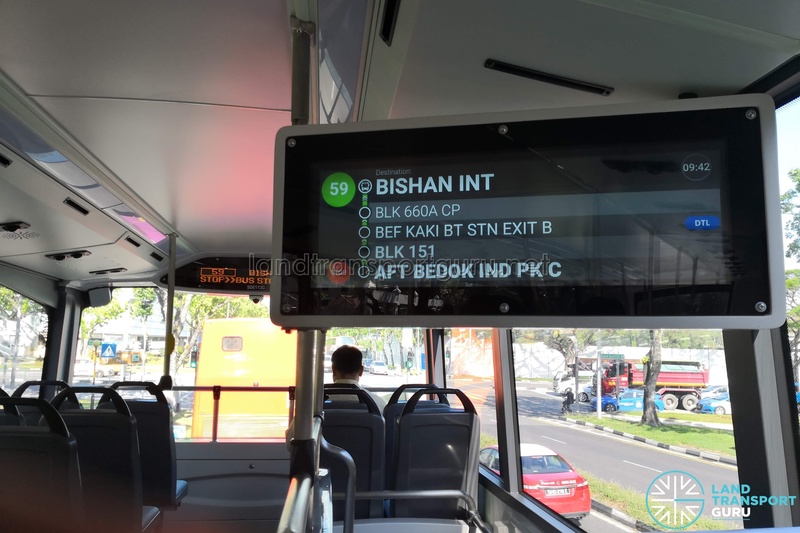 Which PIDS do you prefer and why? Let us know in the comments below!